its after about 4/5 shots it does it. best order some lube and give that a go! any recommendations? hi guys need some help with my asg p-09. I've just been using it for target shooting at the moment but quite often it doesn't cycle properly. it take a few shots fine the slide stops like half way back, so I have to rack it to load a bb. anybody know why this is?? the gun is two toned so I was wondering if this might be the problem and I need lube the slide??? don't really know and could do with some help please. was wondering if anybody knows a good holster for ASG P-09? I have a standard cloth holster but its not very good. looking at getting a better one and wanted to know what people use. hi looking for some good sites to visit in the midlands area. these sites must have a decent hire package as I don't have my own gun. as many suggestions as possible please. 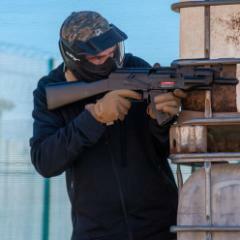 so yesterday was my first taste of airsoft! I went to the gaol in Leicester and had awesome time. I liked the different game types and the site was awesome loved going through the old prison site! the staff were very nice and always happy to help. meet up with @LightningCh who is such a nice guy and helped me a long the way! I will definitely be going back again! 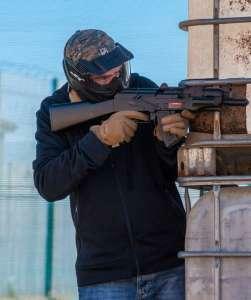 new to airsoft and looking for HELP! where abouts notts do you live? thanks for the advice just looking at some threads now! where do you personally buy from?